At a dinner recently, a friend made a jibe at cargo pants. The dare-not, do-not fashion faux pas usually reserved for the fashion unconscious that (surely) no one wants to revisit, even despite our deep-seated nostalgia for all things 90s. Those who wear them: quickly judged as sadly unfamiliar with the fashion zeitgeist. Yeah well, Travis Scott, it seems, disagrees. 90s revival isn’t just about nostalgia and remembering the sunny days of our childhood when things were sweeter and simpler. It’s about reinvention and innovation, and I’m happy to confirm that’s what’s been happening to the downtrodden, hapless cargo pants of 1997. Fashion’s motion for more utility in your get-up was in full swing in the S/S 19 shows—but these aren’t the dorky beige-coloured pocket pants of yesteryear. The silhouette is bolder, the street vibes are stronger and it's more of a statement than a safe bet. Championing the utility look for your 2019 wardrobe were Prabal Gurung’s bubble-gum pink three quarter cargo pants, Stella McCartney's powder blue tie-dye pants, and Virgil Abloh's five-pocket faded black denim version. As well as pockets, utility details include buckles, chains, snap clips, extra buttons and cord belts. Think boilersuits and belt bags, double straps, visible stitching and reversible colourways. At the Coach pre-fall show last week, anoraks, leather jackets and classic shoulder bags were layered with heavy zippers, oversize outside pockets, and clip on chains. Oh, and a pair of blue camo cargo pants. In recent years, this look might have screamed comfort and function, and an unmistakable obliviousness of fashion. New season cargo pants are functional without forgoing form; they are more sophisticated, more sporty and intended to roll with you from day to night. Next year’s utility trend is the next step for athleisure. Are you ready to invest? Here are a few of our favourite cargo pants and function, form and utility-style accessories to splash out on now. 1. EDITOR'S PICK: Abloh really took the lead on reviving cargo pants for the future. 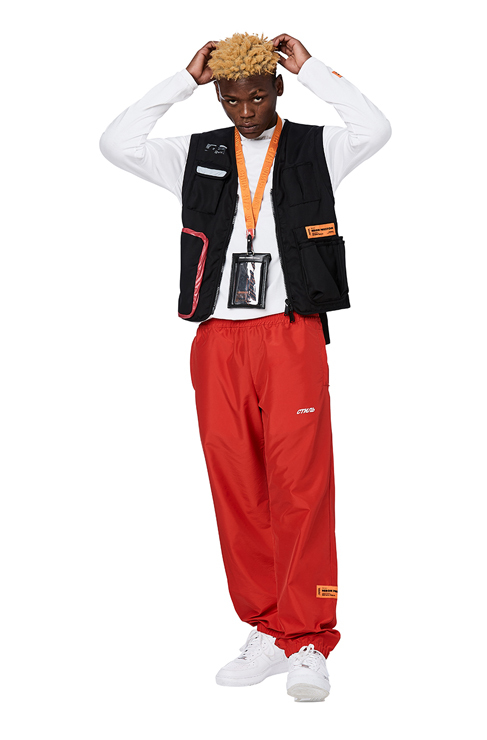 His F/W 18 style, slashed with "Cargo Pants" in the signature Off-White text has sold out pretty much everywhere. Pre-order next season's camo version here or grab my pick right now: the S/S 19 paint splattered fleece pants with pockets, approx. $906.65 at Mr Porter. 2. Vetements green camo sticker cargo pants, approximately $824 at Ssense. 3. 3.1 Phillip Lim tapered cargo pants, $390 at Net-A-Porter. 4. 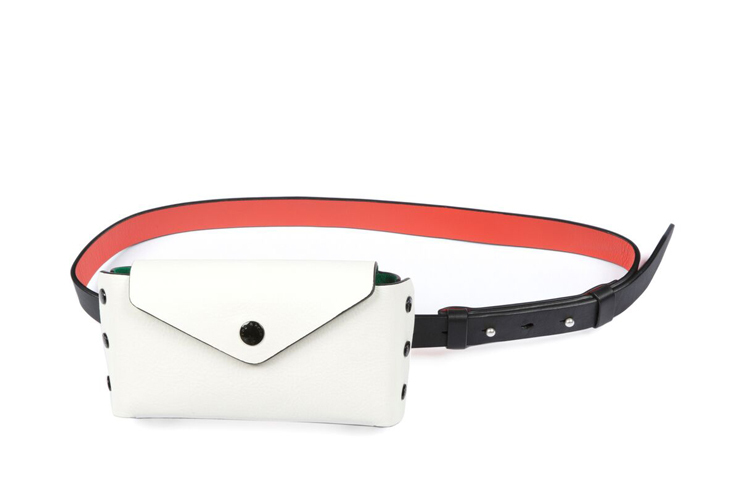 Rag & Bone belt bag, $490 at Rag & Bone. 5. Heron Preston black vest, approximately $980 at Heron Preston. 6. Stone Island gold iridescent cargo pants, approximately $998 at Ssense. On the downhill stretch to payday? Buy in for less with Heron Preston's yellow jacquard tape belt.